40 thousand euros for full replacement of the external and internal joinery , 60 thousand euros for full reconstruction of toilets and an additional 20 thousand euros for reconstruction of the facade, donated to Demir Hisar primary education .. 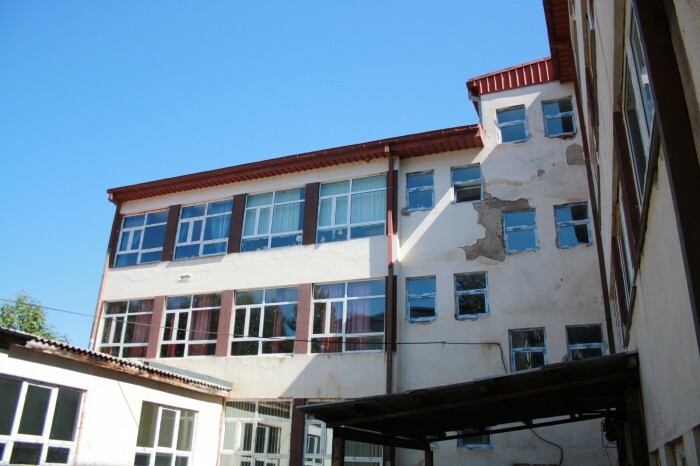 In the last two - three years, was almost completely changed the complete look of the building of the largest and oldest primary school "Goce Delchev " Demir Hisar , built over 50 years ago . Since then , almost was not made ​​any construction intervention on the building , but new installation roof , and the conditions for teaching have become unbearable and inappropriate . The latest project worth 20 thousand euros refers to the full reconstruction of over 2000 square meters of exterior facade , replacing the main skylights with new PVC carpentry and installation of 180 meters of tin gutters . This construction which needs to be completed before the winter , will contribute to protecting the exterior of the building , but also for better aesthetic character of the school and environment .